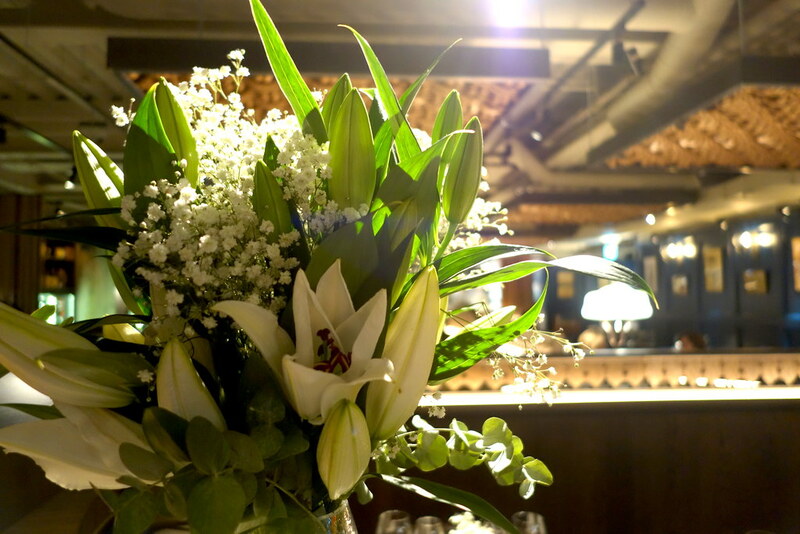 I find Finsbury Square a bit of a funny one when it comes to restaurant recommendations – particularly when it comes to recommending somewhere that isn’t just a Pret, or isn’t too casual. If I want a meal that comes with nice wine, I’d usually head a little further east, away from the usual pizzerias. 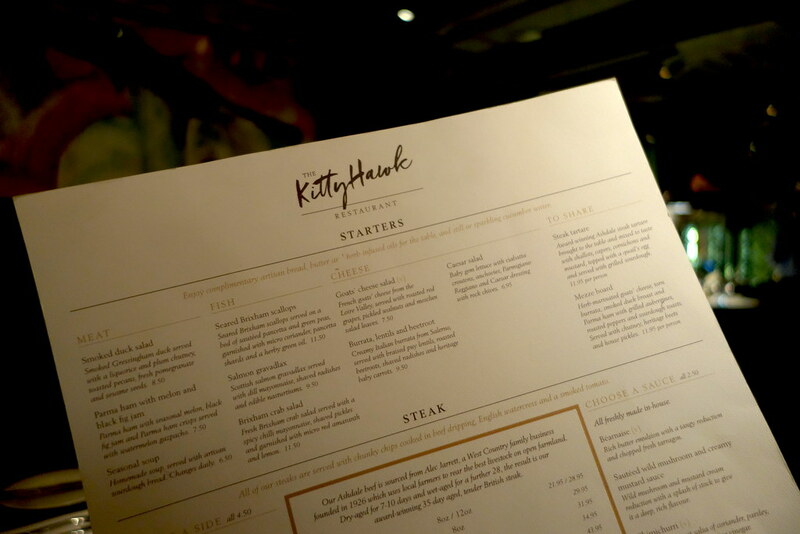 I found The Kitty Hawk to have a really nice atmosphere – the decor was spot on, and the service was really fantastic. We popped in on a Thursday evening, and the bar upstairs was heaving. We were based on the lower ground, which was thankfully a lot quieter, and we were really taken care of extremely well by the staff. 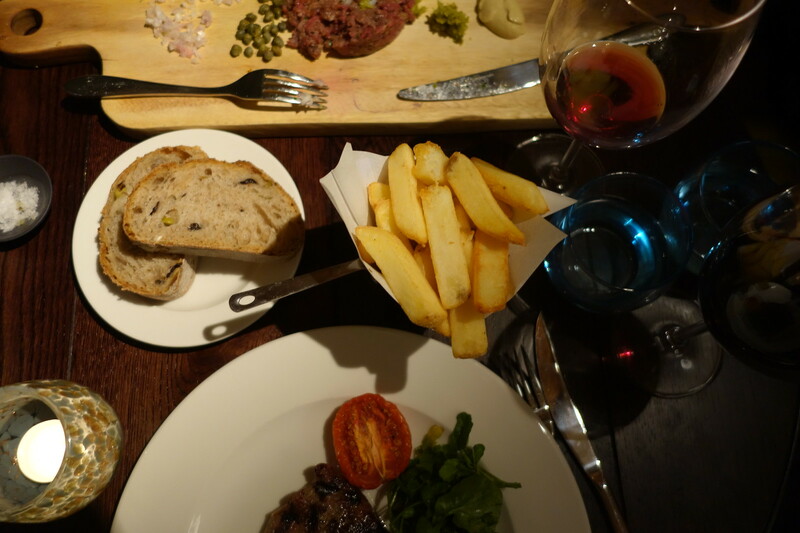 I opted for one of their West Country steaks, served rare, which came with chips cooked in beef dripping. 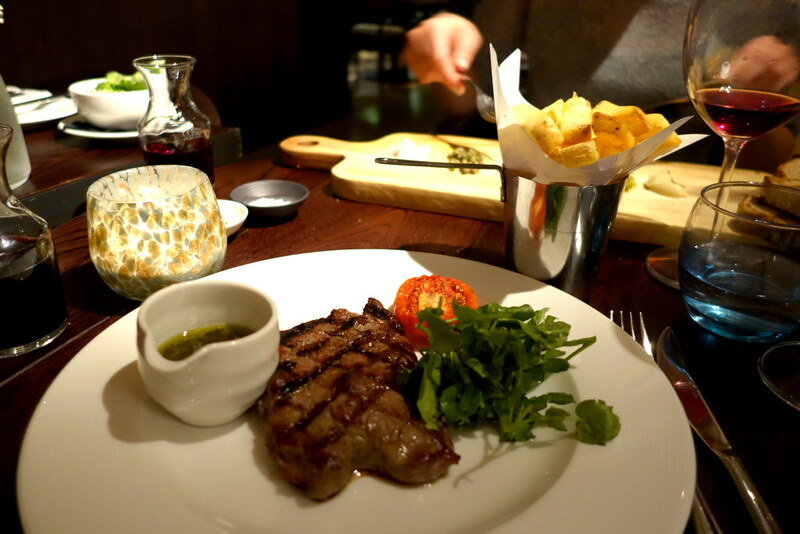 I also ordered the chimichurri sauce – if you are a coriander fan, I’d definitely recommend it. 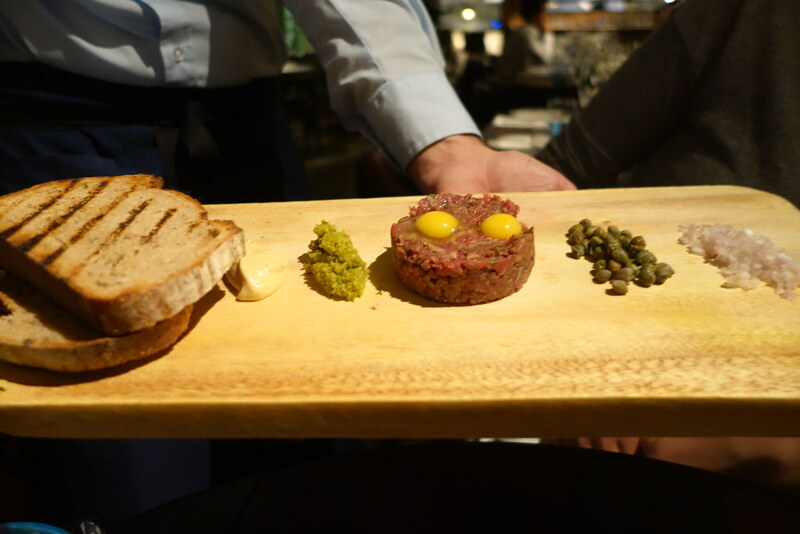 My date opted for the steak tartare – one of my absolute favourites. 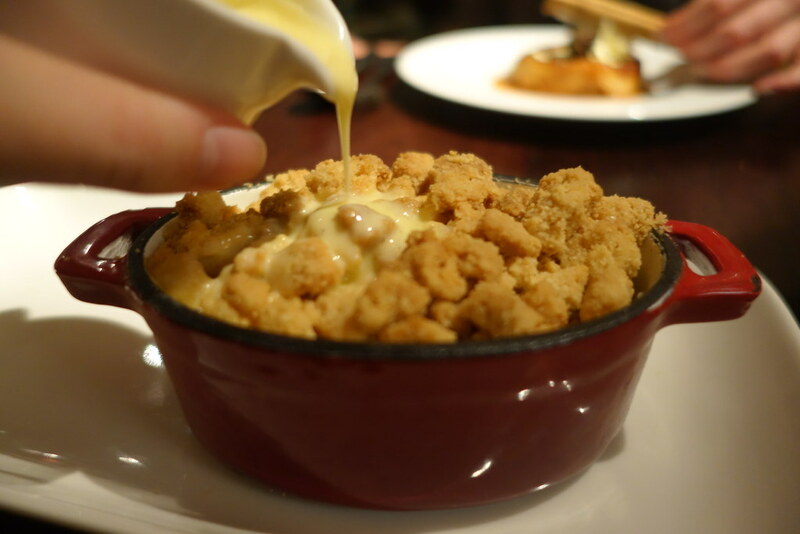 I don’t usually go for desserts, but I really couldn’t resist the warm winter crumble – the almonds in the crumble topped with the creme anglaise was seriously good. 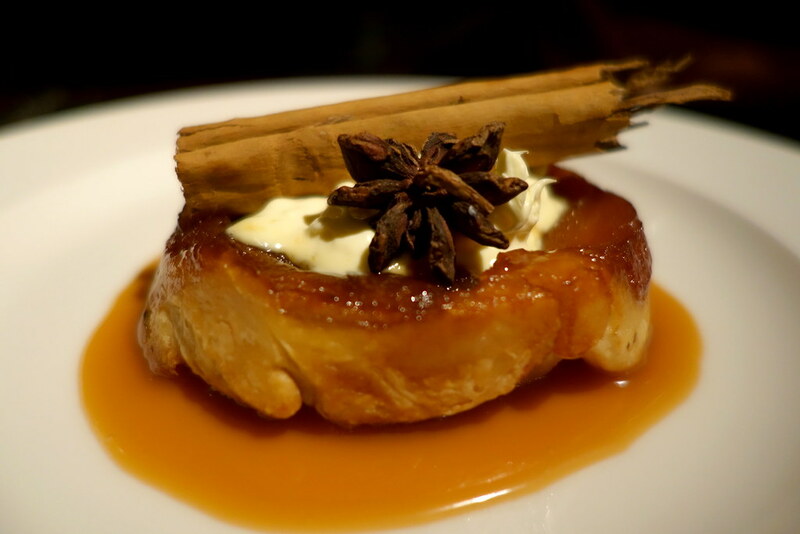 My date opted for the tarte tatin, which looked stunning. 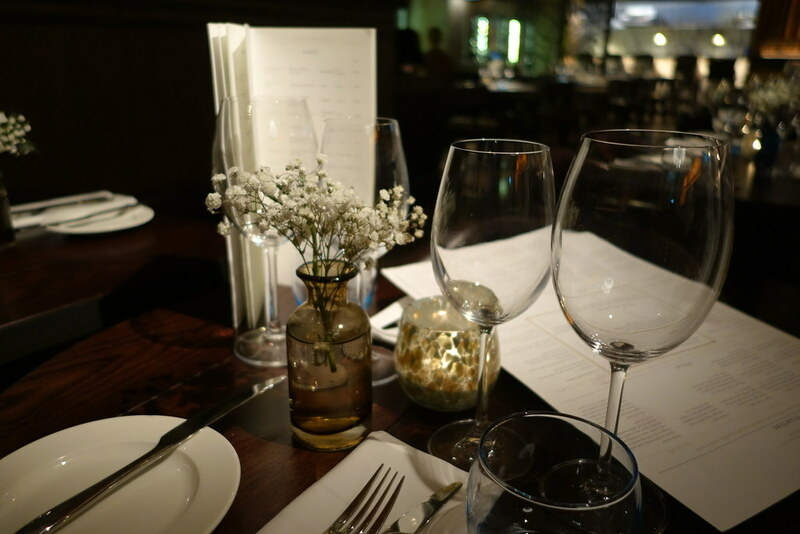 I really enjoyed my meal at The Kitty Hawk, and would highly recommend it as a nice place to take business clients to – our meal, along with a couple of glasses of wine each set us back just over £80, so it’s not somewhere I’d pop in for a quick bite! 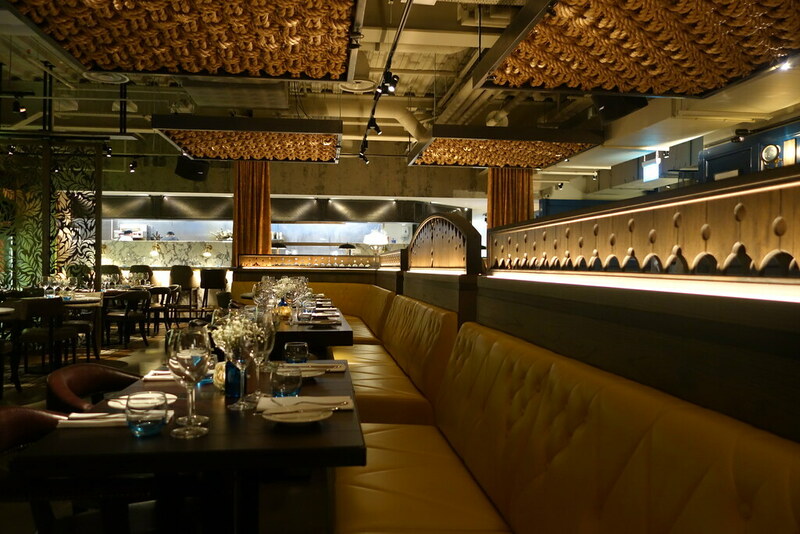 However, the wine was delicious, the service excellent, and the location perfect, and has a nice atmosphere too. Have you been to The Kitty Hawk? Be sure to comment below, or let me know on Twitter, Facebook, or Instagram! I was invited to The Kitty Hawk to do a review - all opinions my own.